Thread: [7.7] [INT] [SR] SRJ Theme! I present to you StormReaver and Jack Theme! Yes, the old StormReaver theme is finally back in new form. Better late than never?! This is as much my theme as it is Jack Céparou's, because I was a landlubber in CS coding and his help made it possible to import most of my old features and settings. To say he was extremely supportive and patient is an understatement. The theme uses many of his excellent plugins and much of the code was carefully pick-pocketed after getting him drunk on lots of rum. Ahoy, matey! Of course, TurboHUD wouldn't be possible without KJ's passion and commitment to developing and improving it over the years. Thank you KJ! Also, thanks to various people for their encouragement and help, and to all the plugin devs who have been featured in this theme. Please note that this was a "work in progress" project. I worked on it on and off for a long time and I was not sure if I was going to finish it due to RL stuff. So, I decided to finally release it "as is" (thanks again to Jack ). I hope you like this compilation of plugins. The good news is that TurboHUD is now a lot more powerful and modular, with tons of great plugins to mix and match and customize your UI to your liking. - The v9.0 update of this SRJ Theme is NOT compatible with v8.0 of TurboHUD. - You need to use the right version of SRJ Theme with the right version of TurboHUD, i.e. either both 8.0 or both 9.0. - To use v9.0 of both SRJ Theme and TurboHUD, make sure to have a clean install of TH. - Click download link above. - Click download arrow in top right corner. - Unzip archive into your TurboHUD folder. - Theme fully updated and refactored for TurboHUD v9.0. - Removed MinimapClip bleed (plugins_SRRootSR_CustomizerPlugin). - Changed "DisplayActorsPlugin" debug toggle key to: Numpad Multiply (*). - Added more customization options (plugins_SRRootSR_CustomizerPlugin). - Tweaked CoE buff icons @ player feet: only COLD & FIRE (big icon) show now (plugins_SRBuffListsSR_CustomBuffsPlayerBottom2Plugin). ArmorySetInfo  (Toggle key: Numpad Divide (/)). - added 5 plugins from resu. - added 1 plugin from BM. - added 1 plugin from glq. - added necro mage buff. - added map reveal settings (in CustomizerPlugin). - added health potion timer under player feet. 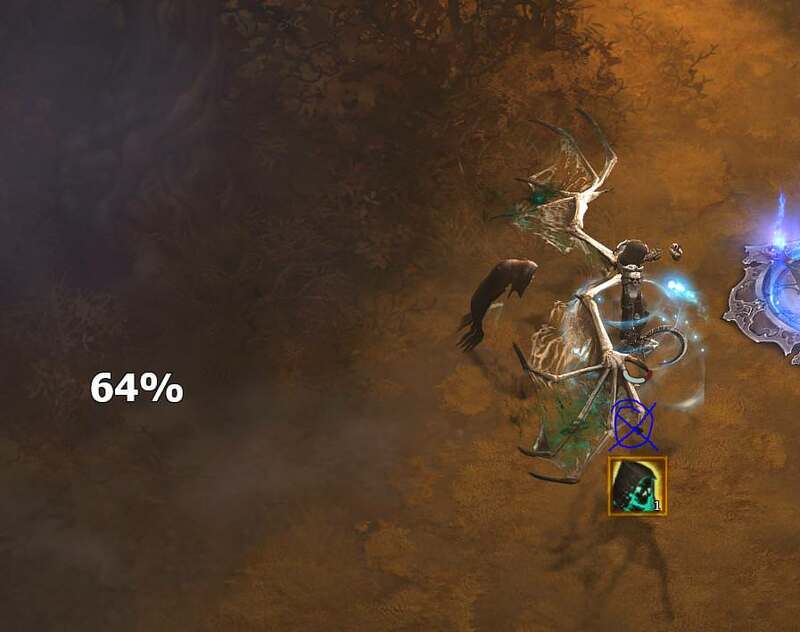 - added necro essence % under player feet (disabled. BM's plugin is superior). - disabled default paragon capture (in CustomizerPlugin). - increased TH volume to 100% (in CustomizerPlugin). - added buff icons: Flying Dragon, Istvan's Paired Blades, Lefebvre's Soliloquy, thanks to Jack. It should look something similar to this. PS: Personal arcs under feet are not working. KJ needs to implement them again, or someone good with CS needs to make a plugin for them. Last edited by Stormreaver; 02-16-2019 at 11:22 PM. Wow, never thought I would see the day! Thanks a lot Stormreaver! 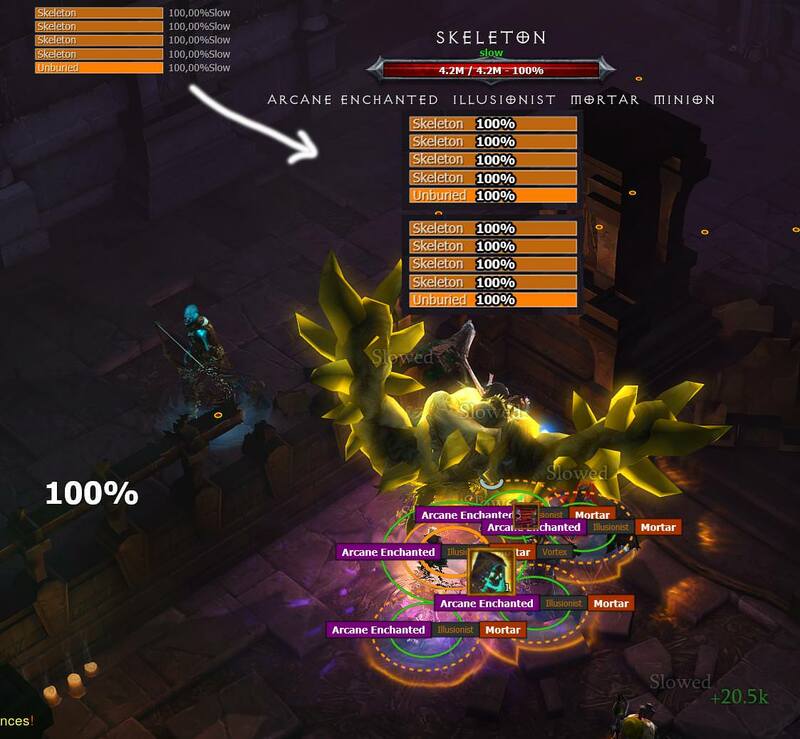 Why some buffs don't work at the necromancer? For example Ignore Pain or Convention of Elements Ring. Bone Armor is shown twice here, how do I disable the right one? Also, the health/essence bar is not shown. How do I enable? And a request: Can you make a buff indicator like the bone armor one for the skeletal mages with a big number on, so it's easy to keep track of how many you have up? Semi works. Would like to only have 1 icon and have the time left text be big. Can you help? - A percent value of the current essence count (like on the essence globe) under your character, so it's easy to see when you should use Mages. Last edited by krislicoque; 08-19-2018 at 05:40 AM. HI I apologize for my language - google translator I would like you to set the pool visible better on the minimap. Can be ? Last edited by Swiety; 08-19-2018 at 07:31 PM. 1) some buffs don't work at the necromancer? For example Ignore Pain or Convention of Elements Ring. Sorry I have been away from the game. I am not familiar with Necro Ignore Pain. Isn't that a Barb skill? - Go to line 70. - You will see samples here of different COE elements with detailed explanation. Enable the element you want, or make a new entry if the element you want is not listed. 1) pool visible better on the minimap? Sorry, I dont understand which pool you mean. 2) turn off the yellow marker of dead bodies? - Change SR_DeadBodyPlugin.cs to SR_DeadBodyPlugin.txt. 1) Bone Armor is shown twice? 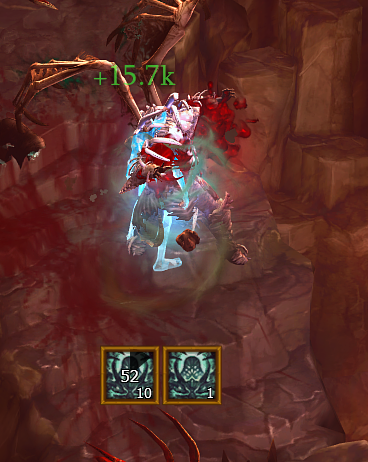 I tested on my necro and Bone Armor buff is showing only once. - Go to line 369. - Change IconIndex = null to IconIndex = 0. 2) health/essence bar is not shown? - go to line 6. - change enabled="0" to enabled="1". - PS: Personal Arcs only show out of town, unless you also change line 7 from 1 to 0. 3) add Skeletal mages buff? Your adaptation code is fine. To show just 1 icon, change IconIndex = null to IconIndex = 6, which only shows the number of mages and their countdown. If you want a larger icon, in your added code change IconSizeMultiplier = IS2 to IconSizeMultiplier = IS4 and un-comment line 64. 4) percent value of the current essence count under player feet? Last edited by Stormreaver; 08-20-2018 at 04:06 AM. A "hacky" implementation of potion timer and essence% under player feet, below other buffs. Last edited by Stormreaver; 08-20-2018 at 04:05 AM. Thank you so much for taking the time to help me out. 1) So this is when no mages are active. The icon still shows up and shows 1. This is a minor issue. 2) Is it possible to make the mage counter with a BIG fat number in the middle? Like the cooldown numbers on the hotkeys? I got another idea, hope that's okay. The elite bars plugin is basically invisible in big fast fights. I tried to customize it, but that's beyond my skills. Also, how do you make it play a sound when the unique (or blue pack) is killed? Makes for super fast rat runs. Again, hope it's cool I ask for your help here. Now all buffs work perfectly. What plug-in shows percent on banks of health and the main resource? got that purple X mark in town when using Condem. 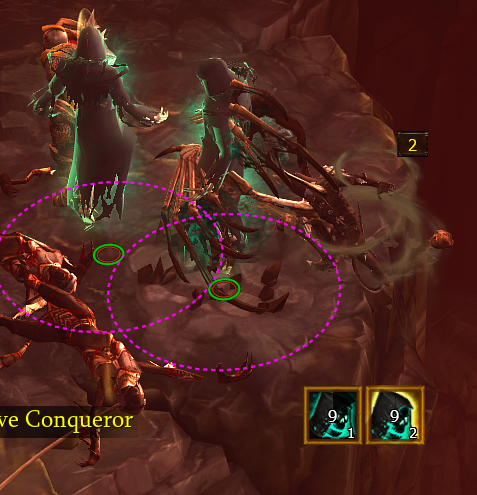 If some spells on your character are creating some random purple circles when you activate them, that is unintended. - Go to folder: TurboHUD\plugins\_SR\Monsters. - Save the file and restart TurboHUD. Last edited by ADV2015; 08-20-2018 at 11:05 AM. That's the first thing I did right after installing this theme before starting diablo and thud. Was testing this theme on my Monk and would like to know how to remove the voice that says Epiphany? Are there others skills or classes that has voice? I'd like to disable it. Last edited by thud; 08-20-2018 at 11:15 AM. PS: Please do not post huge images. Crop them or if they are too big, just include a link. I added it the the theme as I described to you, and it was working fine. Not sure why it is still showing for you when no mages are spawned. I will release an update soon, maybe that will fix it for you. 2) make mage counter with a BIG fat number? Not sure, looking into it. 3) percent counter of essence? Here is the plugin I made yesterday, also based on ResourceOverGlobePlugin, hence the "hacky" part lol. - Place it in \plugins\_SR\Root. - It will not turn to different colors, but you can change the color and font size in line 39. Alternatively, I just found this! It should be perfect for you. 4) customize elite bars plugin? - Go to line: 82. - Change parameters: "XScaling" is size of bars, "XPos" and "YPos" are positions. Change the numbers at the end. 5) Sound on boss death? Not sure, will get back to you on it. 1) What plug-in shows percent on banks of health and the main resource? Not sure I understand what you mean by banks. - look for plugin called: SR_ResourceOverGlobePlugin.cs. 1) I explained the random purple circles and how to remove them in first post. 3) font smaller, for ancient rank? - Go to line: 92. - Change: 9.0f to 7.0f, or lower value. 4) remove voice of Epiphany for monk and other classes? - Same file as above. - Go to line: 366, called "add TTS skill CD". - There are 4 skills listed. - comment-out each line you do not want by adding // at the start. Last edited by Stormreaver; 08-21-2018 at 10:35 AM. What is this windows theme?